I wanted to try this recipe as soon as I discovered it. 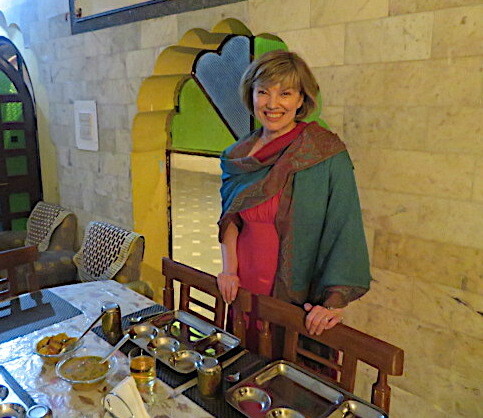 Having enjoyed the fabulous Middle Eastern desserts at Toronto’s Byblos restaurant, I couldn’t wait to try something similar in my own kitchen. Everything about the recipe seemed perfect, from the sweetened labneh (a creamy, yogurt-like cheese) to the roasted fruit. And best of all, it didn’t look like a lot of work. A handful of ingredients, and less than half an hour from beginning to end, most of that being time in the oven. I offered to take some off her hands. We were both happy. And now it would be a cinch getting the rest of the ingredients! I rushed home to make the dessert, only to find someone had eaten all the grapes. When I came back with a new bunch of grapes, I wasn’t going to leave anything to chance. It may have been the middle of the afternoon, but I was making this dessert before anything else went missing. And I had a near miss, when I reached for the honey and found it suspiciously light. I’d like to thank whoever in my family knew I needed exactly one tablespoon of honey, and left it thoughtfully around the sides of the jar. After all that prep work, I realized I’d been right: the recipe was indeed both easy to make and wonderfully delicious. 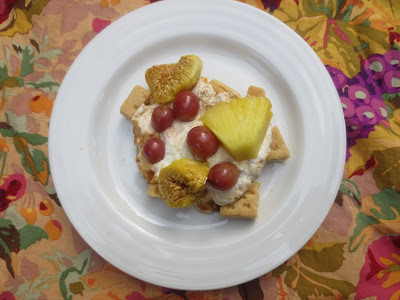 The sweet grapes married perfectly with the velvety labneh, and the buttery shortbread was a firm counterpoint to both. I’ve since made it again, and I’ll keep making it. At least until the grappa runs out. To make the labneh, rub the orange zest into the Demerara sugar. Fold it into the labneh until lightly mixed. (Note: if the labneh isn’t firm, carefully scrape it into a cheesecloth-lined strainer set over a bowl, then cover and refrigerate until it is stable enough to form a peak.) Spread the labneh in ripples on an ovenproof plate. Sprinkle with more Demerara. 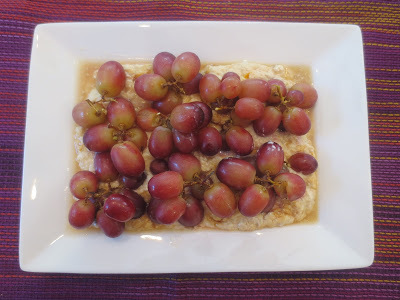 To prepare the grapes, thin the honey with the grappa in a large bowl. Snip the grapes into clusters and add to the bowl. (If using other fruit, add it here too.) Turn the fruit in the syrup then transfer to a roasting pan with a shallow rim. Place both sides side by side in the oven and roast for 12 to 15 minutes. Carefully set the fruit atop the labneh and spoon any collected pan juices over all. Serve with cookies, crushed or whole. This all looks delicious and is a new and interesting dish for me…I would like to try this as well. I had to giggle at your search for ingredients and fortuitous ability to score things on the run so to speak! And, also many giggles at the ingredients gone missing as through the years I have often found with the guys around here, if it isn't nailed down, it's up for grabs and will be gone by the time one needs it! 🙂 It all looks lovely. So glad you persevered!!! Sounds like a wonderful dessert! My mom in law was from Libano and I remember she made her own Labneh . usually to some recipes I use greek yogurt or ricotta. A completely new dish to me and labneh…first time hear about it. I look forward to trying it some time! Lots of hurdles to making this one. Thanks for sharing the story behind it. Sounds like a really interesting desert. This is one fine dish Beth and so packed with flavors! Well, I'm glad you finally got all the ingredients in one place so you could share with us, Beth. It looks like an interesting dessert and I've never heard of labneh. Will keep my eye open for it. Had to laugh at the part about mistaking grappa for white wine…ummm not possible haha! This is such a lovely dessert. So glad you managed to find all the ingredients in the end! now this is something you don't see every day (though i wish i did)! what a unique treat! Roasted fruit is one of my favorite treats – especially grapes. I love how you turned it into a composed dish. 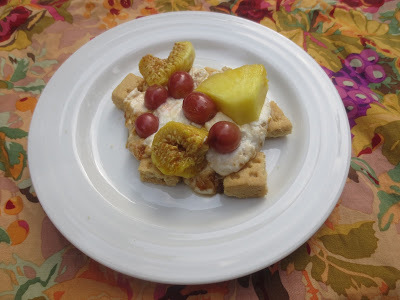 Dear Beth, this looks like such a wonderful dessert and I loved reading about how you discovered it – a wonderful post to read and enjoy on a rather warm summer evening! Those are some unique ingredients. Happy you were able to finally gather everything to complete the recipe. It sounds delightful! Grappa is good stuff, but it most definitely does not resemble white wine! Anyway, what a neat recipe! I've not used labneh — now I'm going to have to find some (I'm pretty sure I know exactly which store will carry it, though). Good stuff — thanks. Now you have me obsessing over this. It looks so summery and light. Now to find Grappa and labneh! This recipe was going to happen one way or another! My husband and I used to buy labneh but then the store stopped carrying it. Then they started again and I didn't have a need but now I do – this sounds wonderful! I have to put sticking notes on the ingredients I need to keep for recipes – don't eat Please! Beth, this recipe sounds fantastic! Can't wait to give it a try! Looks so light ! Fate plus perseverance–can't beat the combo! Looks delicious.